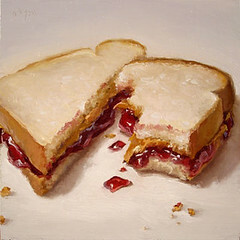 Paintings You Wish You Could Eat! I 1st saw Abbey's painting's on Etsy. Abbey's shop is called Ryan Studio. 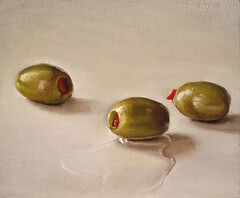 She has these brilliant paintings on there that make me hungry just looking at them. 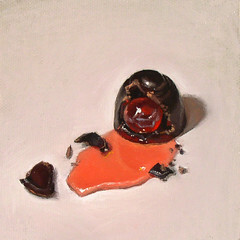 I love her painting style, and love all of the random subjects she paints. She also has a neat blog where she posts her daily paintings. My name is Abbey Ryan, and I currently live in Philadelphia. 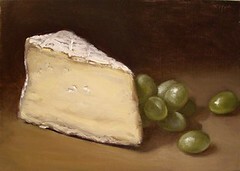 I have consistently painted with oils since college, but I also do scientific illustration and design work. In addition, my personal studio practice (aside from my daily oil paintings) consists of works on paper using ink and graphite. 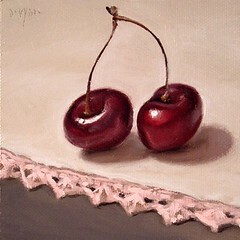 These are shown on my web site, http://abbeyryan.com. I find that I am most inspired in my life by positive energy, freedom, and nature. Color is an important inspiration for me - as it relates to light. I'm drawn to moments where colors are subtly manipulated through the presence or absence of light. The music of Bob Dylan and Patty Griffin have also been huge sources of inspiration for me as well. I spend so much time in the studio, and am usually listening to either Bob or Patty. :) And of course, I am also inspired by my amazingly supportive family (especially my mom, Liz Ryan, who's also a painter -- http://eryanstudio.com ). I am relatively new to the business aspect of making art. I've found it to be incredibly inspiring and exciting to sell my work directly to art-lovers via the internet. Thus far, I've also relied just on word of mouth to get my work out there. 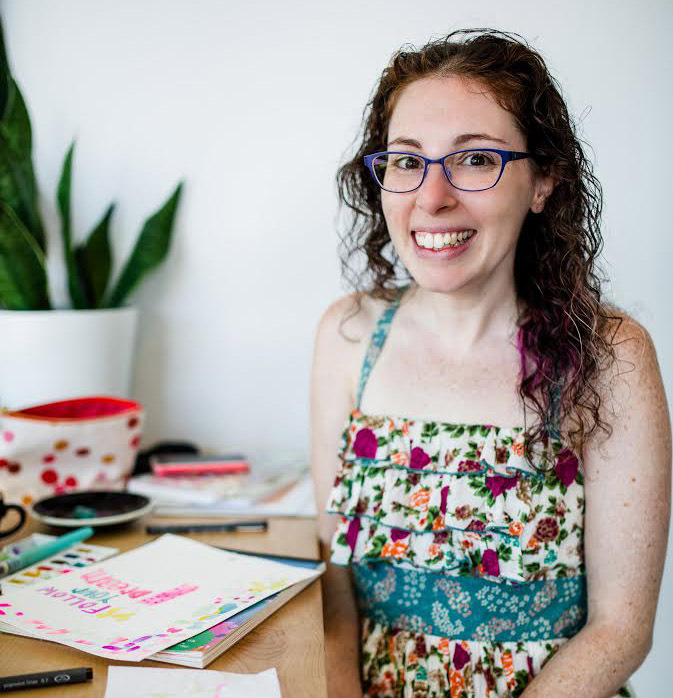 I think getting publicity is the biggest challenge, but it's also a really fun part of the process, too. 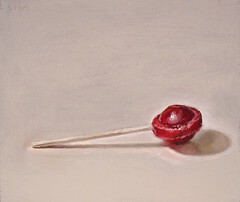 In "Paintings", "etsy", "food", "goodies", "oil painting", "treats"